Checkout add-ons. WooCommerce Checkout Add-ons allows shoppers to add items to their cart during the checkout process. This can be useful for offering gift-wrap options, for example. It doesn’t all have to be about adding paid items, though. Shoppers can add information, such as the name of a gift recipient, to personalize a package. Cart notices. 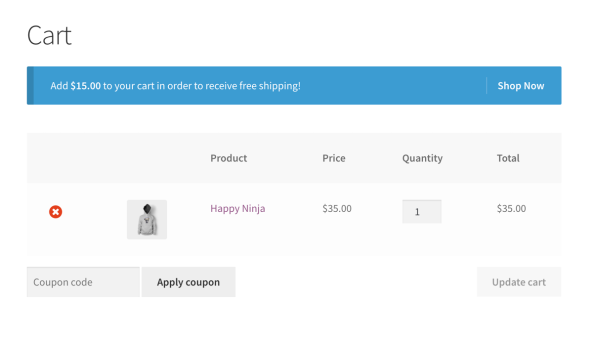 The Cart Notices plugin lets shoppers know about other purchase options. It can be useful for disclosing free shipping thresholds, for example. You could let a purchaser know that if she increased her $20 order by $10, she would receive free shipping. Use Cart Notices to alert shoppers of options, such as free shipping thresholds. It can also disclose related categories, such as accessories for a product in a buyer’s cart. This could be, for example, informing buyers about outdoor cooking accessories when they have added a barbeque grill to their cart. Getting specific. While WooCommerce comes with tools for cross selling and up selling, Cart Add-ons allows sellers to be more specific with the rules that are applied to these cross-promoted products. Using Cart Add-ons, merchants can select product categories and tags for the cross-promoted items, which provides additional flexibility. Force sells. Use Force Sells to ensure a product is in the purchaser’s cart. Perhaps an accessory is required for the main item. A buyer may not know this, which could lead to extensive support. Force Sells automatically inserts an item in a customer’s cart. For example, a repair shop could use Force Sells to make sure a disposal fee is added to an oil change. I’ve used it to force an annual membership renewal from a one-time purchase of an online course so that users could maintain long-term access to the course as well as to extra resources that are for members only. Force Sells provides two options. First, merchants can add a force-sell product to the cart and shoppers can modify it and even remove it from the cart. Second, a “synced forced sell” means that shoppers can’t remove the product and that as the quantity of the main product changes, the forced product will be updated, to match. Follow-up emails. 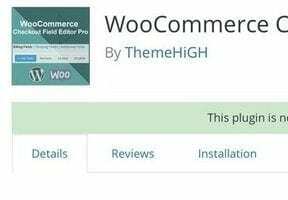 Finally, if you’ve exhausted the options to increase purchase amounts during the checkout process, consider follow-up emails from WooCommerce Follow Ups. Amazon uses these types of emails, for example — someone purchases a book and Amazon send an email with three others that are related. Use Follow Ups’ product category system to email offers only to customers that have purchased those specific items. You could include a coupon in the Follow Ups’ email. Checkout is a good time to increase purchase amounts. Use plugins similar to those above to manage and control the process. Leverage email afterward to notify customers of related products. That, too, could increase purchase amounts.